Vote For Peter Salerno In KBIS Innovative Showroom Awards! – Design Your Lifestyle. The Official Blog of Peter Salerno Inc.
Vote For Peter Salerno In KBIS Innovative Showroom Awards! November 2014 November 2014 Peter Salerno, Inc.
See Peter Salerno Inc. Showroom Photos, Video and Vote! NOTE: Voting is now closed for the KBIS Innovative Showroom Awards. Thank you to the voters for placing Peter Salerno Inc. in the finals – stay tuned for the results. Peter Salerno is the most award-winning North American kitchen and bath designer of the last decade – but this time, he needs your help! The KBIS Innovative Showroom Awards are an interactive design contest run through Facebook. Voters can view the most outstanding kitchen and bath design showrooms in North America, and vote for their favorites. Representatives from the National Kitchen and Bath Association (NKBA) recently visited the Peter Salerno Inc. showroom in Wyckoff, NJ, to get footage of Peter Salerno for the 2015 KBIS convention, and were dazzled by the showroom’s beauty and innovation. Take a look at some of the photos below, watch the Peter Salerno Inc. showroom preview video, and judge for yourself why Peter Salerno Inc.’s showroom is truly the most innovative showroom in North America. Then, please vote using the links on this page! 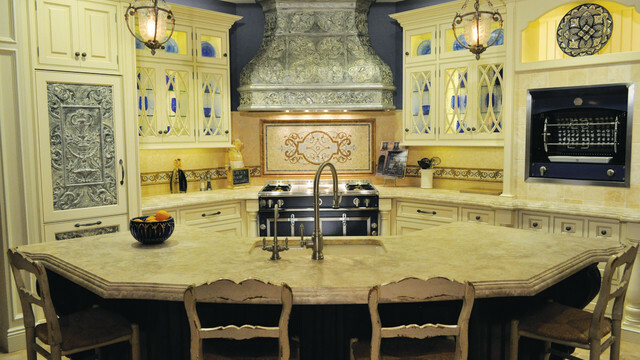 The “La Cornue” showcase kitchen in Peter Salerno’s showroom. 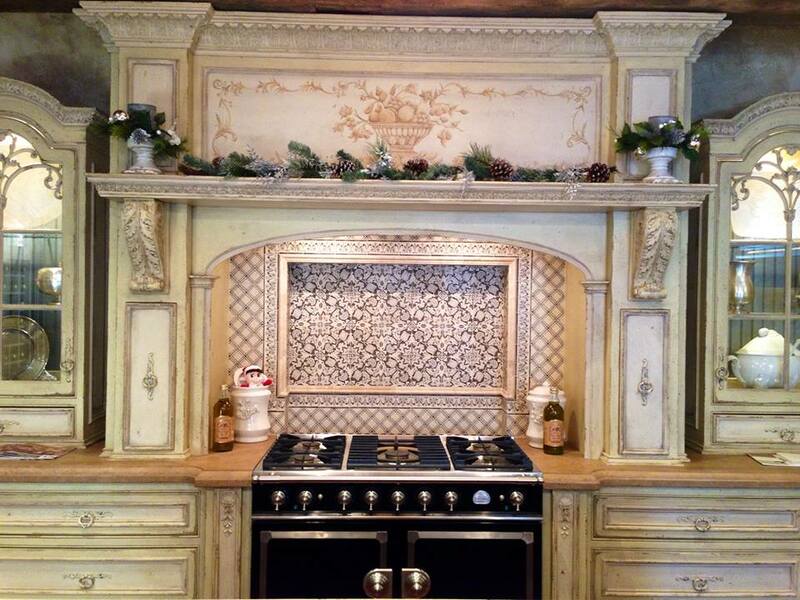 The beautiful Habersham display in the Peter Salerno Inc. showroom. 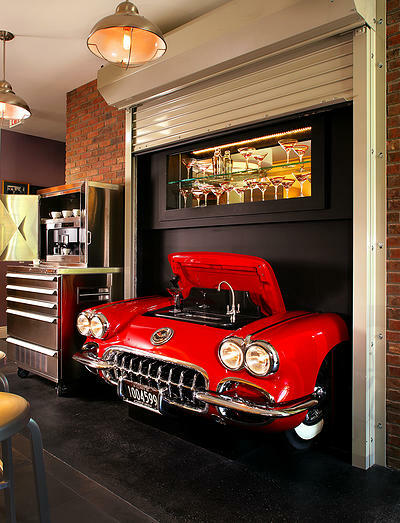 The 1959 Corvette wet bar in Peter Salerno Inc.’s showroom. Get Stylish - Sign Up!